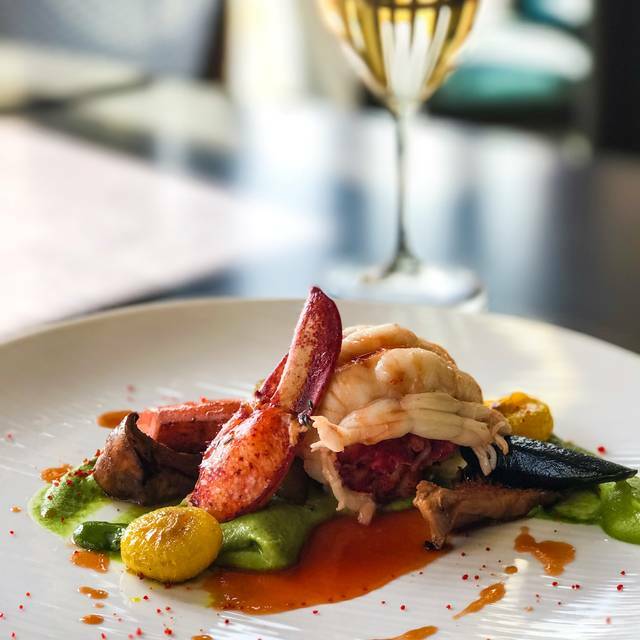 Whether seated in the dining room or alfresco on the palm-shaded patio, you'll enjoy American Coastal Cuisine set against a dramatic backdrop of the Pacific Ocean. 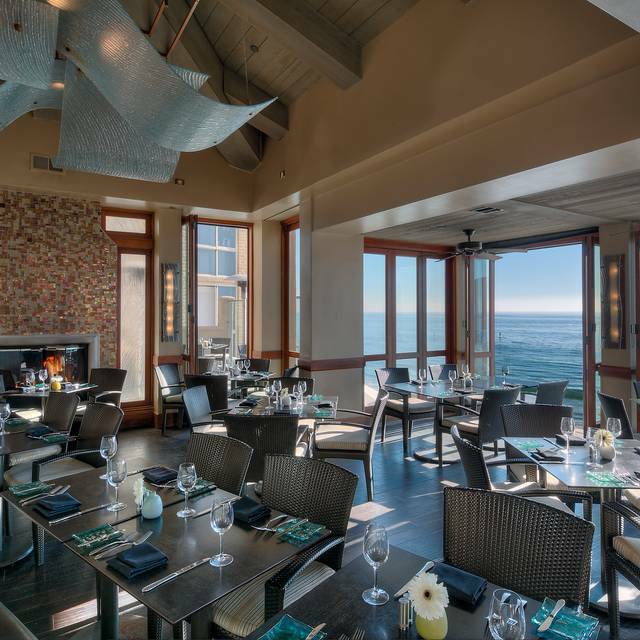 Celebrate Mom's with elegant seaside cuisine overlooking the Pacific. This is my go to place for entertaining business guests. Tonight was my last night here. The food from beginning to end was disappointing at best. Our disappointment fell on deaf ears and our server still charged us a 20+% gratuity. 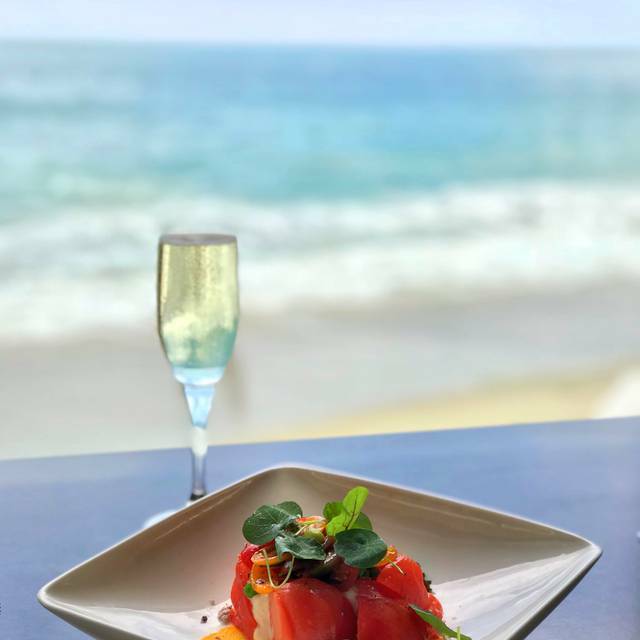 The view is beautiful, but you can get that anywhere in Laguna. Terrible meal for our entire party. 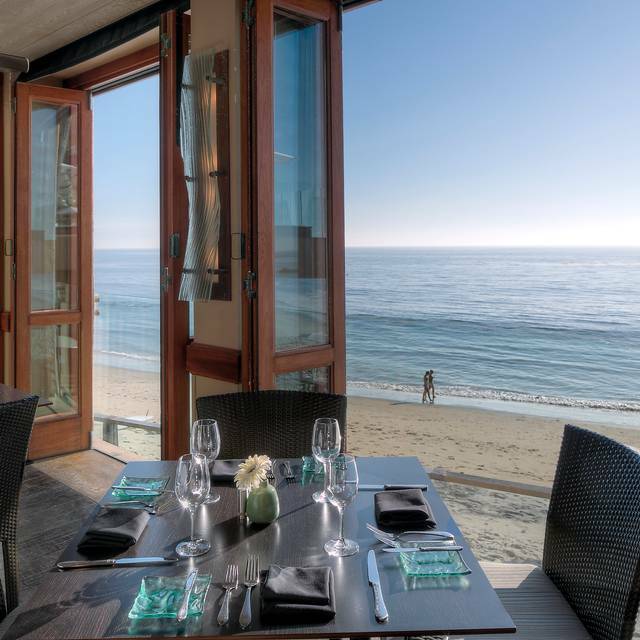 For our 31st anniversary, there could not have been a better setting in Laguna Beach. 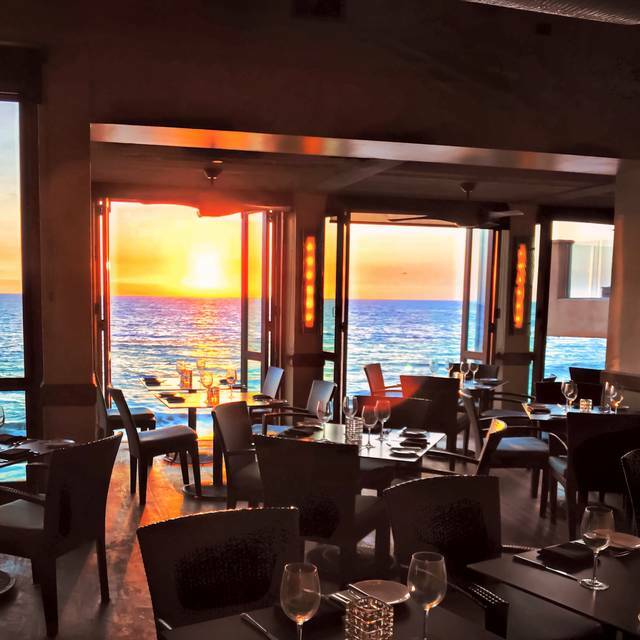 The views of the ocean were breathtaking, the service excellent, and food wonderful! I highly recommend!! Sevice was great-food spectacular -the bar is also great! Location is spectacular which was one of the reasons we wanted to go there to begin with. We were there for Easter dinner; brunch is a challenge due to the crowds so we were very much looking forward to a mean that matched the view. It tuned out to be a prix fix menu which is not bad by itself but there was no notification that they would not be service the regular menu when I made the reservation. I would probably not have made the reservation if I had seen the menu in advance. They also wanted a credit card to guarantee the reservation which turned out to be pretty funny as the restaurant was almost totally empty. The menu selections missed a beef option which was a challenge for one of our party. Two of us had the duck and it was fine - just not spectacular which I would expect for $100/person. The wine list is extensive; the coffee was luke-warm. The artichoke soup tasted good but was a not-so appetizing color. The one redeeming quality was timing - the meal was served without undue delay. The food was acceptable but nothing to write home about. The bread was amazing, however! Warm, fresh and crunchy and light. I couldn't get enough of the ciabatta. Being right above the sand was superjspecial nut the overall cleanliness of the outdoor space of the restaurant was not very impressive and the service seemed a bit hectic, but that could've been because it was Easter Sunday. I made a reservation through yelp for 9:00 pm , right before our reservation they called and said they cannot give us a table for another 45 minutes to 1 hour . Not acceptable! My family were here from Canada, and they were very surprised how they overbooked and couldn’t give us a table. We ended up going all the way back home and order food. Very disappointed! Very classy, loved being so close to the water and yet so cozy with the heaters. Lovely restaurant...they took very good care of us. Splashes restaurant is a beach lovers dream. A bit expensive but you are sitting beach front with the ocean breezes bathing you. At times it feels like you’re in the water. (high tide) the service was fabulous. Food wonderful! Jonathan, our server, was simply excellent. He knew the menu, understood where we headed, anticipated our needs, and was professional. When teh service is that good, it's hard not to have a great experience. We had the seafood paella, and it was excellent. the small portion was so big, we couldn't finish it, and it had really great flavor. 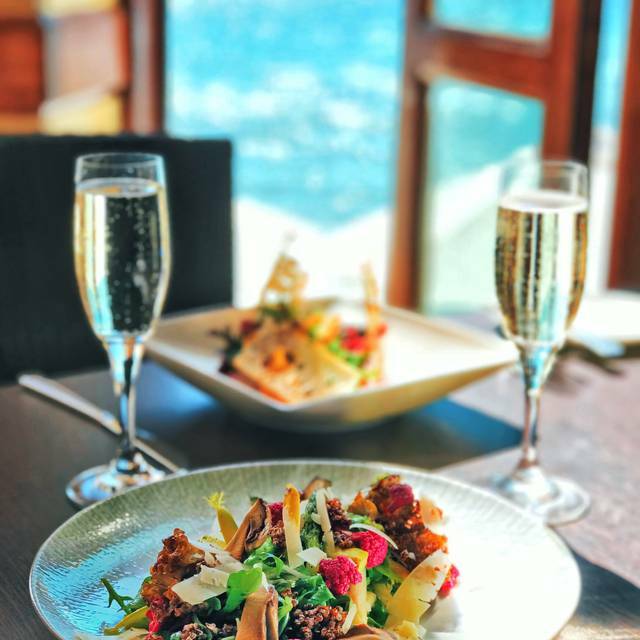 a charming place by the ocean and it happens to have great food. Easy to make a reservation unlike some seaside restaurants that don't allow open table and don't pick up the phone during business hours. Service excellent, wide variety of choices. We (8 of us) went to Splashes to celebrate my wife’s birthday and had a wonderful time. The food was very good as was the service and food and the view. It was a day made special by the wonderful ambience at the cozy restaurant. We will certainly go back again. Great brunch. Lovely views. Must make sure it makes the schedule during a trip to Laguna. Johanna was wonderful. Great service, extremely tasty food and the view was remarkable. I was very impressed. I heard a few bad things but happy we went. I will definitely be going back. Great food, great service. Even received a complementary dessert for dining during our wedding anniversary. Will definitely return! Grest views, good food, average decor, noisy diners. Food is overpriced for the lack of flavor; and drinks are heavy on the simple syrup, but the views are amazing. We celebrated our 27th anniversary having a beautiful beachside lunch at Splashes! The staff was very accommodating with my 82 year mom and having a walker. Our server JoAnna was amazing and really made our celebration special. Food was very good and of course the view was amazing. Service was inconstant vs other tables close to us. 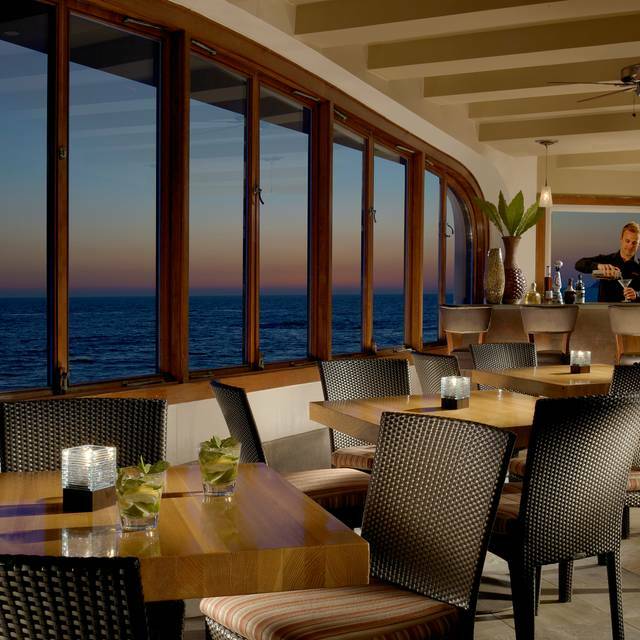 This restaurant is situated with a resort but, you can dine there without staying as a guest. 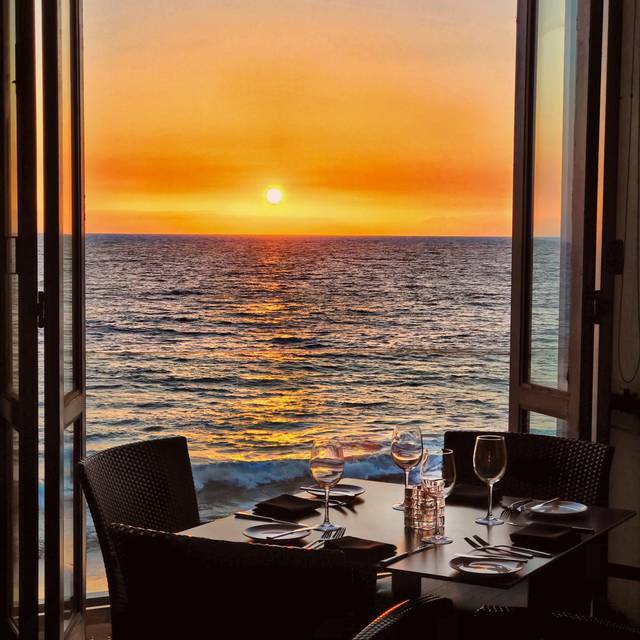 This restaurant has a beautiful ocean view, and they sat us right in front of the window and the windows can open up so you can hear the ocean and we were so close enough to smell it! It was an amazing experience, the service and the food was amazing will be back again for sure! We are staying at the resort and came for dinner! Food and service was good. View - wow!!! I would recommend this restaurant! The food and drinks were excellent, with an amazing view of the sunset. The service was even better!! Great ambience and food, our server was an absolute professional and made the evening even more memorable. The only reason it wasn’t a perfect five star experience is that the wait from the appetizer to dinner was an hour and excessive. I recommend this restaurant for special occasions! Good food, service and great ambiance! Would definitely recommend this restaurant to get a Laguna Beach vibe. My girlfriend and I made our first trip to Laguna Beach last week. Prior to, we googled most romantic spots in Laguna Beach and Splashes came up number one. We made a reservation for last Saturday and we had the most romantic and memorable experience ever. Thank you Splashes! Server was great, food was delicious and the view was the best!!!! It has alway been a great time there and the food is always amazing. We arrived for a 3PM reservation and were told the kitchen was closing but would stay open for us if we ordered quickly - plus the table was reserved for the dinner reservations starting at 4:30. Confused about why they would accept a 3PM reservation - it was not a relaxing experience. The servers were appropriarely attentive from the moment we sat down to when we left. We love Splashes mainly for it's location right on the ocean. They have wind protective glass and heaters. We were sitting outside on a very chilly night and were perfectly comfortable the whole evening. They also shine a light on the ocean which is just beautiful. The food is good, but that's not why we go there. We sat on the lower patio, right on the sand at the surfs edge. 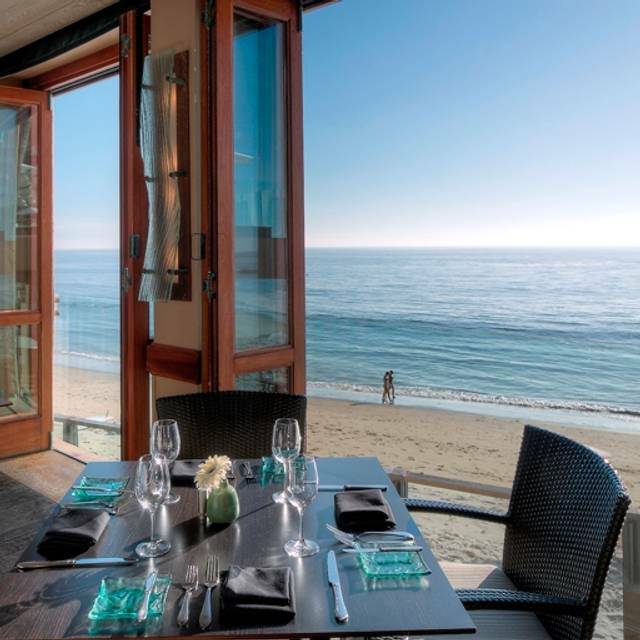 I don't think you could find a better beachfront location in Laguna Beach, to enjoy a beautiful lunch or sunset dinner. What a great spot to enjoy the crashing waves and beautiful sunset. It does get a little cool when the sun goes down, and although they have patio heaters, they could use more. If you plan on dining outside, bring a light jacket or sweater. I enjoyed the fresh Swordfish, grilled to perfection, while my dining companion said the Filet Mignon was outstanding. I would highly recommend Splashes, not only for the setting, but the food. An absolutely fantastic experience. I would highly recommend this restaurant if you're in the Laguna Beach area. An absolute must not miss at sunset. Great food, unparalleled view, but couldn't understand waiter (spoke to fast, heavily accented English, too busy to refill water and bring desert).